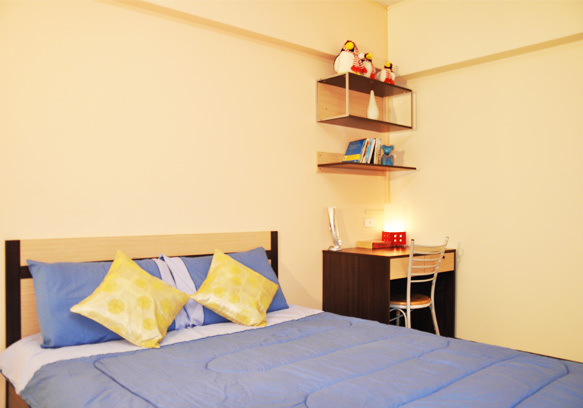 This style type is suitable for one female student. 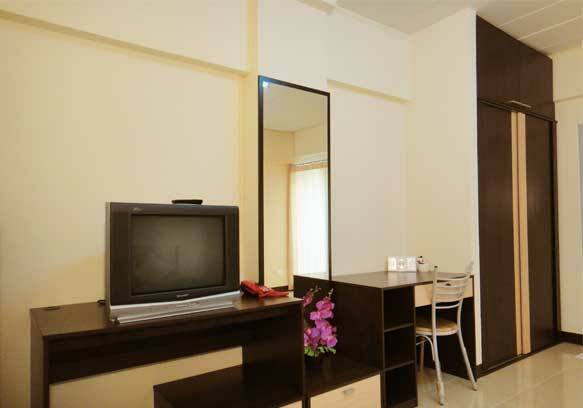 It is decorated with King bed size, Refrigerator, Satellite TV, and Air-conditioner. 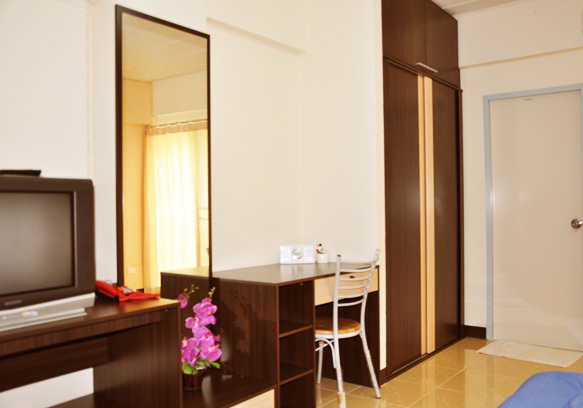 Whoever would like to stay in private arae, feel free to contact us and make an appointment to view the room. 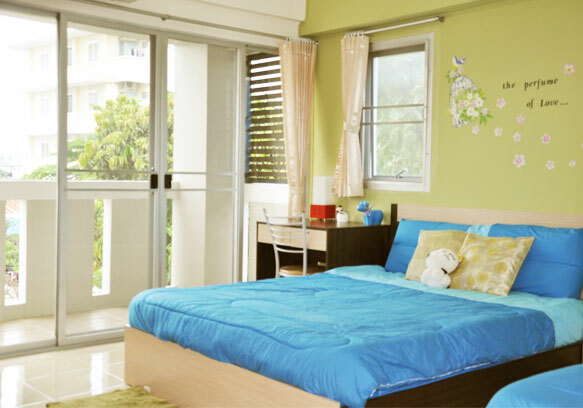 In this style, we proud to present this room with balcony in good view. 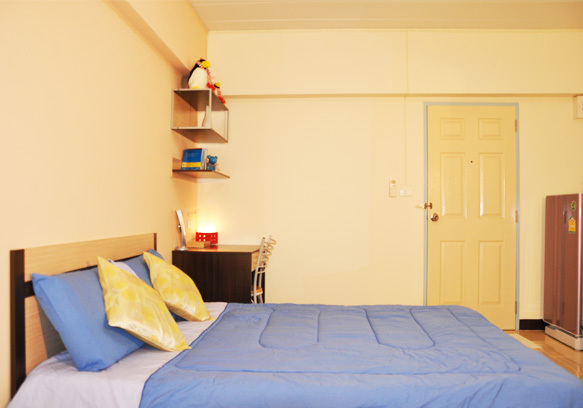 It is decorated with Double beds, Refrigerator, Satellite TV, and Air-conditioner. 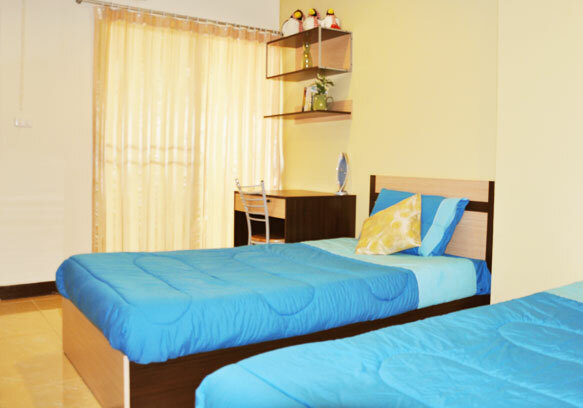 Whoever wants to share with 2 or 3 female students, Contact us now to make an appointment. 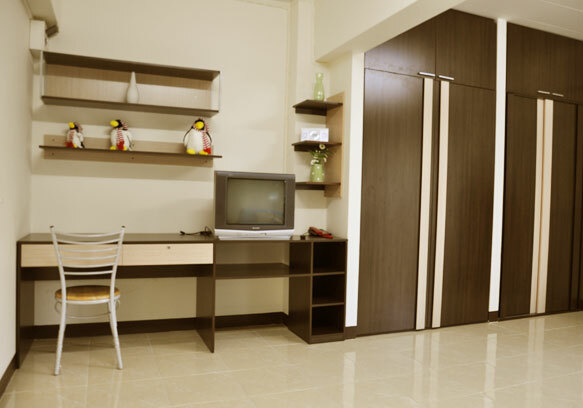 This is a highlight room that is decorated using modern style. 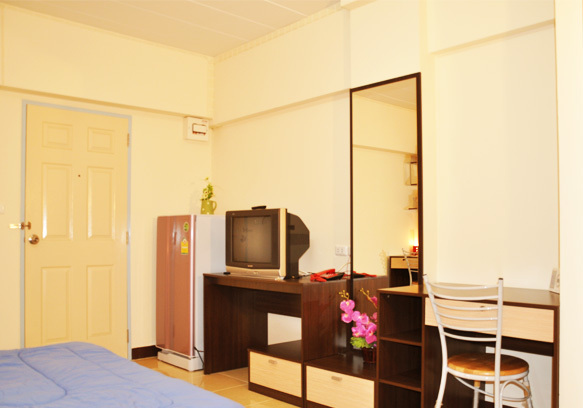 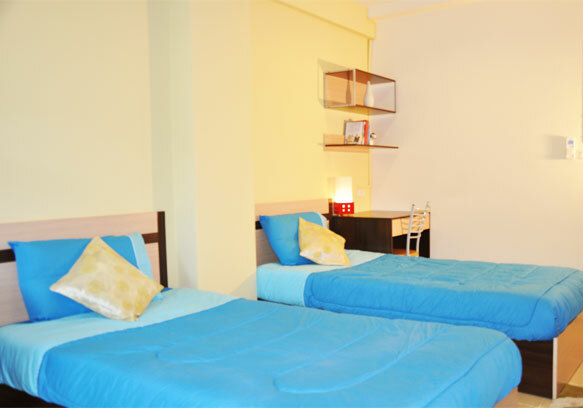 We provide 2 beds, Refrigerator, Satellite TV, and Air-conditioner. 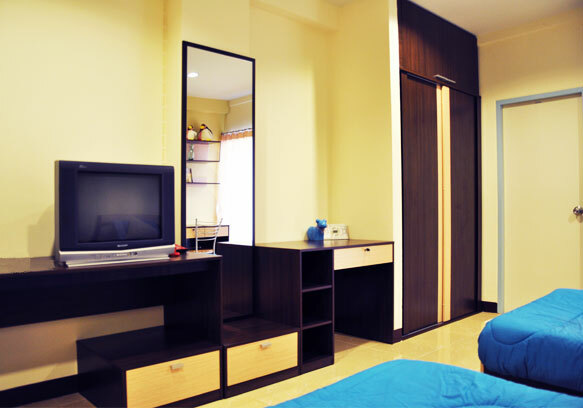 Whoever wants to stay this superb room and to share with 3 people, feel free to contact us to make an appointment.